The African Union (AU) recognizes eight regional economic communities (RECs) as the building blocks for the African Economic Community (AEC), namely the Arab Maghreb Union (AMU), the Community of Sahel-Saharan States (CEN-SAD), the Common Market for Eastern and Southern Africa (COMESA), the East African Community (EAC), the Economic Community of Central African States (ECCAS), the Economic Community of West African States (ECOWAS), the Inter-Governmental Authority on Development (IGAD), and the Southern African Development Community (SADC). In June this year, at a summit in Cairo, Heads of State and Government from three of these RECs – EAC, COMESA and SADC – launched the Tripartite Free Trade Area (TFTA) bringing together 26 countries with a combined population of 632 million people or 57% of Africa’s population, and a gross domestic product (GDP) of 1.3 trillion US dollars (2014 figures). The launch of the TFTA was the culmination of a process that started in 2008 with the first tripartite summit held in Kampala, Uganda. However, it is not time to celebrate yet. The Agreement requires ratification by 14 Members before it can enter into force. After its entry into force, the Agreement shall remain open for accession by other Member States of the AU. Since ratification is a national process, it may take a while before this magic number is achieved. Even then, the coming into force of the TFTA may not lead to immediate trade facilitation gains. As Robert Ndege and Frank Nyambweke (2014) note, although the EAC is Africa’s most ambitious regional integration drive with political integration as its ultimate aim, “progress has been slow with an ever dynamic political environment and strong nationalist sentiments posing the greatest challenge to seamless integration” [Africa Practice, August 2014]. The EAC has seen a lot of progress in terms of investment in new trade-related infrastructure – such as the development and operation of standard gauge railways and oil pipelines, the removal of persistent non-tariff barriers, improved freedom of movement within Partner States, and a reduction of telecommunication charges. All EAC Partner States have also notified their ‘Category A’ commitments to the World Trade Organization (WTO), with Rwanda demonstrating greater ambition than its regional neighbours in terms of the number of measures notified. Of relevance to Customs is the fact that all five EAC Partner States are now operating as a Single Customs Territory (SCT) and have brought in the Democratic Republic of the Congo (DRC), which is not an EAC Partner State. 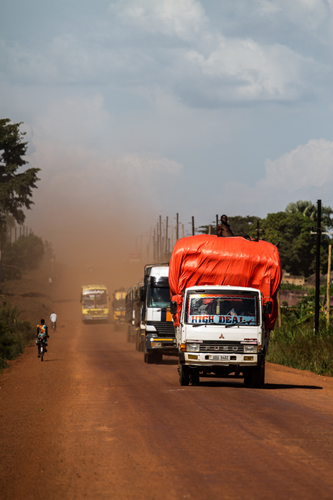 In July 2015, Tanzania and the DRC started clearing goods using SCT procedures, where assessment and collection of revenue is done at the first point of entry. Operation of the SCT has included the posting of staff from the Customs administrations of Burundi, the DRC, Rwanda and Uganda to the Tanzanian port of Dar es Salaam and the Kenyan port of Mombasa. These developments are laudable, as they have led to the creation of a climate of trust between the collaborating government agencies and their officials. 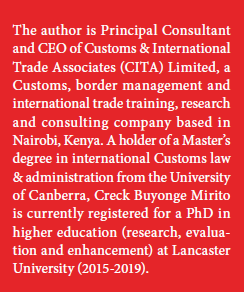 The paragraphs above provide enough background information for us to pose and try to find an answer to the following question: what has been the challenge of regional integration in the EAC and what does this tell us about the possible challenges that may face the TFTA? On the positive side, we have already seen that, since “nothing succeeds like success,” neighbouring states are quickly adopting the positive aspects of regional integration such as the SCT. While the DRC – a member of ECCAS and SADC – has started implementing the SCT with Tanzania, South Sudan is working towards full accession to the EAC Treaty. Yet, challenges remain. In early August 2015, Kenya’s President, H. E. Uhuru Muigai Kenyatta, met with his Ugandan counterpart, H. E. Yoweri Kaguta Museveni, to discuss a number of issues including the improvement of trade ties between the two countries. Uganda complained that Kenya’s Agriculture, Fisheries and Food Authority (AFFA) was delaying issuance of permits for the importation of sugar into Kenya from Uganda. Since the EAC is a ‘common market,’ sugar originating from Uganda should enter Kenya without barriers, but suspicions by Kenya that Uganda may be trying to dump cheap sugar from third countries has made it difficult for this to happen. On its part, Uganda has been restricting entry of Kenyan milk into the country. During their meeting, the two Presidents agreed to remove these obstacles, but immediately thereafter, the Kenyan political opposition started beating the drum against the ‘deal.’ In actual fact, there were no agreements, just a commitment between the two leaders to uphold the principles of the EAC Treaty and its Protocols. Herein lies the first challenge of regional integration in the EAC. Despite sensitization efforts by Ministries responsible for the EAC on the requirements and benefits of integration, key constituencies, such as the political class, remain sceptical and uninformed about the provisions. Instead of supporting what is indeed a legitimate process, they create obstacles by negatively influencing public opinion with conspiracy theories. Customs and trade officials who are expected to implement and monitor trade policies may also not take a keen interest. While the EAC has five Partner States, trying to ensure that the 26 countries expected in the TFTA are reading from the same script is a tall order – but it can and must be done. The second challenge is political. 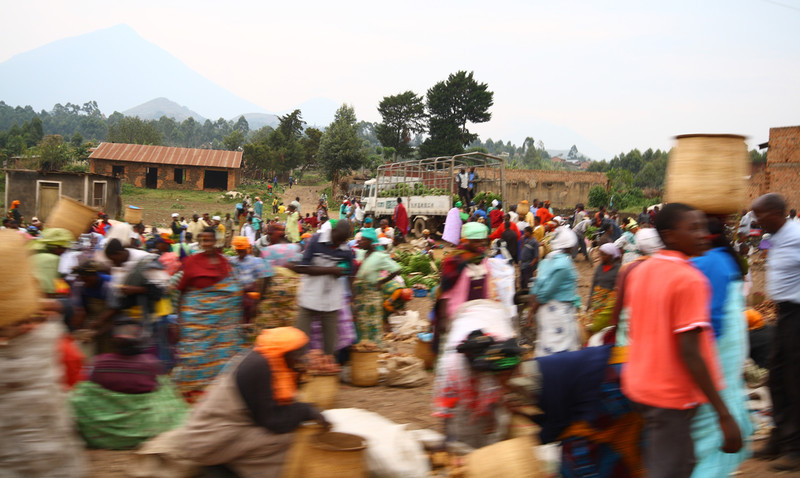 Burundi carried out contentious elections on 15 July 2015, which were boycotted by the political opposition. The incumbent President, H. E. Pierre Nkurunziza, won easily under the circumstances. There was an attempted coup and instability prior to the elections, and the period after has been marked by even greater instability, violence, and threats of violence leading to an exodus of refugees to the DRC, Tanzania, and Uganda. In South Sudan, civil war has been raging since December 2013 between troops loyal to President Salvar Kiir and his erstwhile Vice President, Riek Machar. As a result, some Customs and trade capacity building projects have been suspended or delayed in these two countries, and the impact has been felt across the region. Within the 26-member TFTA, there are countries experiencing significant conflicts or under threat of conflict, such as the DRC, Egypt, and Libya. Other TFTA countries are preparing for political transitions, such as Tanzania (2015), Rwanda (2016), and Kenya (2017). Peaceful elections and political transition are good for regional integration. The third challenge is terrorism. Burundi, Kenya, Rwanda, and Uganda have contributed troops to the AU Mission in Somalia (AMISOM) to stabilize the Government of Somalia, and check the threat of Al Shabab terrorists. Kenya has borne the brunt of terrorist attacks in recent times, including one at a major Nairobi shopping mall in September 2013, and another at Garissa University College in April 2015. The latter attack left 147 victims, mostly students, dead. Countering the terrorist threat requires cooperation between governments at the bilateral, regional and global level. Such cooperation includes exchanging intelligence, common training, and capacity building. Unfortunately, governmental cooperation sometimes leads to suspicions within the citizenry – and a real danger – that human rights, including the right to privacy, may be violated. The TFTA has an Annex on Cooperation on Trade and Customs Matters, but none on security issues. There is a strong link between security and trade so, in the future, TFTA Members may need to negotiate a Protocol on Security whose implementation will be challenging considering the large membership. In spite of the challenges, we remain optimistic that not only will the EAC continue integrating further, leading to gains in trade facilitation, but that the TFTA may lead to other RECs in Africa crafting such mega-RECs. This phenomenon may draw inspiration from developments in other regions of the world, such as the Transatlantic Trade and Investment Partnership (TTIP) between the European Union (EU) and the United States, and the proposed Trans-Pacific Partnership Agreement between countries in the Pacific Rim. Finally, the 10th WTO Ministerial Conference is scheduled to take place in Nairobi, Kenya in December 2015. This is the first time the Conference will be held in Africa. The confluence of all these factors portends deeper and faster regional integration in Africa, and the potential for gains in trade facilitation.